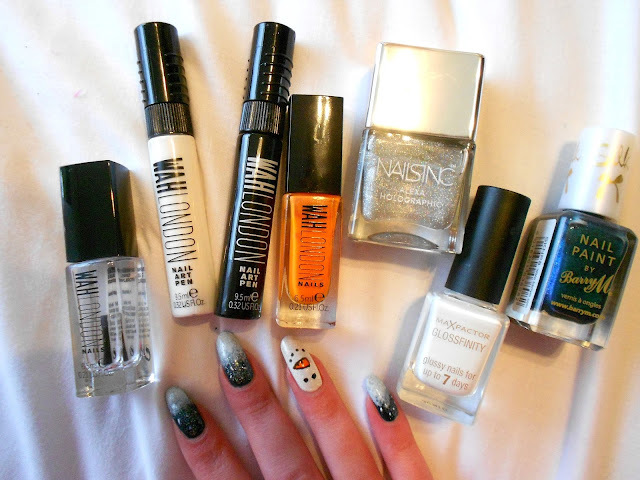 I went for a nighttime, snow setting scene on the rest of my nails using a navy blue for the base, sponging on white at the tips and covering in glitter. This is my favourite glitter nail polish, it's the Alexa Holographic by Nails Inc and is such a nice polish for coverage and a subtle effect. 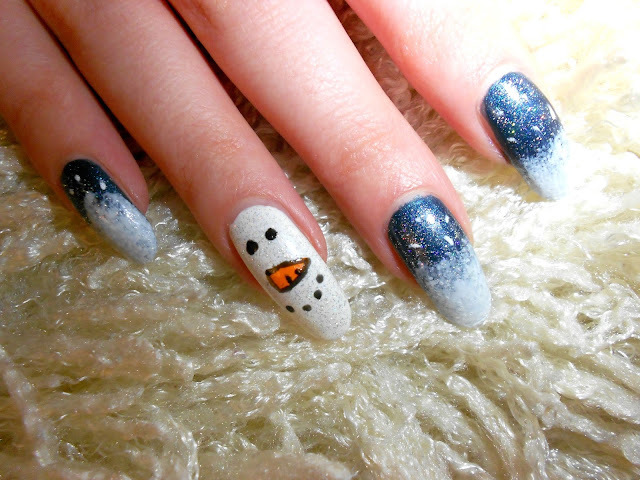 I used the WAH nail art pen in black for the snowmans face with a splash of WAH 'In a daze' for his nose. I love the effect of both designs and think the glitter on them all ties it off nicely! Obviously, I had to use my trusty WAH top coat to seal it all together and leave my nails super shiny. Do you themed nail art designs?